Wow! How quickly time goes. For the last year at least I've had my nose stuck in 18th century newspapers, reading tiny, densely packed print. Even enlarged on a screen it was difficult to read. I've been researching the background of Manchester events in the 17760s and 1770s for my novel of Elizabeth Raffald's life, An Unknown Woman. The newspaper of the period, The Manchester Mercury, carries all the minutiae of the time; what the population was interested in, the countries we had disputes with and the scandals of the nobility. It was the time of inventions for cotton processing, the American War of Independence, and adverts for all kinds of quack remedies, carrying endorsements from many unknown but illustrious persons. It also carried notices for works of civic improvements such as this one. There are so many interesting little snippets that I am making very slow progress with my book, getting sidetracked into reading the news as avidly as if it was current today. Here's an example of some local news included in Elizabeth's narrative. There was such a wailing and a screaming Saturday last when one of the women sentenced for whipping at the Market Cross was shouting her innocence all afternoon. She was with two men who took their punishment manfully, as they should, no doubt grateful that they were not subject to transportation as was Robert Shepherd of Rochdale and James Hilton both for Seven Years each for stealing Goods, one out of the shop of Mr Jeremiah Kay and the other from Mr Henry Grundy. On the stocks were William Lord for being found in the Shop of Mr. Hall on Long Miln-gate, with false keys and picklocks; Robert Wolfenden for stealing a Silver Cup, the Property of Mr. Pilling of Bury, and Mary Thorp for stealing Handkerchiefs out of the Shop of Messrs. Phillips and Greenway. Oh, she screamed so loud, I nearly dropped the cake I was getting out of the oven. Thank goodness they are not all like her or I would be forced to move from my shop and I do not yet want to do that. I am certain I can squeeze more money from it before I see what my next venture may be to make more money than I do now. Of course this is just the first draft, I'm sure the format will change by the finished product. Back to reading the newspaper now. More soon, I hope. Things are moving on. I am still giving talks on Elizabeth Raffald, bringing her name to the notice of as many people as I can. This week I have delivered copies of my short booklet about her to several retail outlets. First Arley Hall have a stock of both the booklet and the cookbook on sale in their gift shop, just as they reopen their catering section, renamed as The Gardener's Kitchen with a menu to honour the memory of Elizabeth and John. Poor Elizabeth Raffald has been temporarily pushed aside as a new interest took my attention. 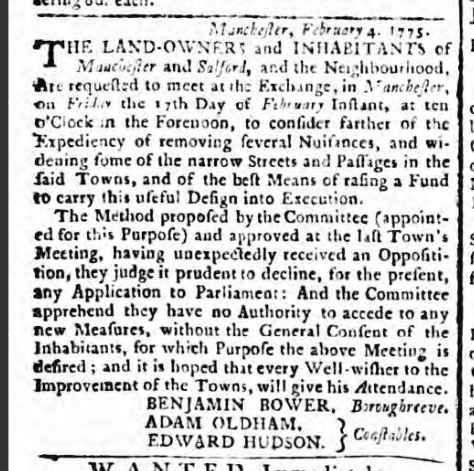 Not forgotten but saved for a time when I can do more background research into the kitchens and lifestyle of Manchester in the latter 18th century. I have started her story and I have a fully formed talk about her which I will be taking to local groups. I am not rushing this project, I want to do her justice. This subject just keeps getting bigger and bigger! Well, the book of Call Centre Chaos has finally been unleashed on Amazon as an ebook! Yes, I finally finished the editing and formatting and the book is now available to buy and download, still for less than the price of a coffee. Get it here.